Members are obligated to participate in on/off season testing. Refusal of testing will be an automatic fail and member will be subject to suspension. All failed tests will be posted on INBA Hall of Shame with test result and picture. I have had an opportunity to review the INBA/PNBA Anti-Doping Rules. To comply with and be bound by all of the provisions of the INBA/PNBA Anti-Doping Rules and amendments. The INBA and National Federations have jurisdiction to impose sanctions as provided in the INBA/PNBA Anti-Doping Rules. Any dispute arising out of a decision made pursuant to the INBA/PNBA Anti-Doping Rules, after exhaustion of the process expressly provided for in the INBA/PNBA Anti-Doping Rules, may be appealed exclusively to the Court of Arbitration for Sport. Decisions of the Court of Arbitration for Sport shall be final and enforceable, and that I will not bring any claim, arbitration, lawsuit or litigation in any other court or tribunal. I consent to the use of any photographs, video recording or other images taken or recorded at this event by the INBA/PNBA or it’s nominees, in any magazine, broadcast transmission or any other printed or electronic media for the purposes of promoting this or future events, the INBA/PNBA, INBA/PNBA or nominees or their sponsors. I further understand that if I fail the drug test, that the INBA/PNBA has the right to post my photograph and name as such on any printed or electronic media. I have read and understand this Acknowledgment and Agreement. I will be legally bound myself, my heirs, my executors, administrators and assigns to waive and release any and all claims or rights for injuries or damages suffered by me against Kakos Productions, Mt. Olympus Inc., ABA, PNBA, INBA, NFSB, IFSB, facility, city, country, Ms.Fitness, their officers, agents, employees, sponsors, co-sponsors, officials and sub-contractors. I will participate in this event as a contestant. Further, I hereby grant full permission to any and all of the foregoing to use my photographs, video tapes, motion picture recordings, or any other record of this event for any purpose. 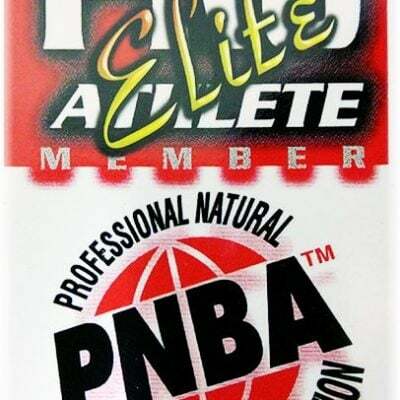 I further understand that all ABA/PNBA/INBA sanctioned titles shall be stated as ABA/PNBA/INBA titles when used by any athlete for any purpose. Miseuse of an ABA/PNBA/INBA title will result in legal action by the ABA/PNBA/INBA and I will be responsible for any attorney fees and court costs. An INBA Entry Form constitutes an Application to compete. INBA reserve the right to refuse or withdraw any Application at their discretion and at any time, prior to the athlete competing. Unless otherwise noted, all purchases of memberships, products, and event registrations are final. A refund for any purchase may be issued at the discretion of the organization if the circumstances merit one.